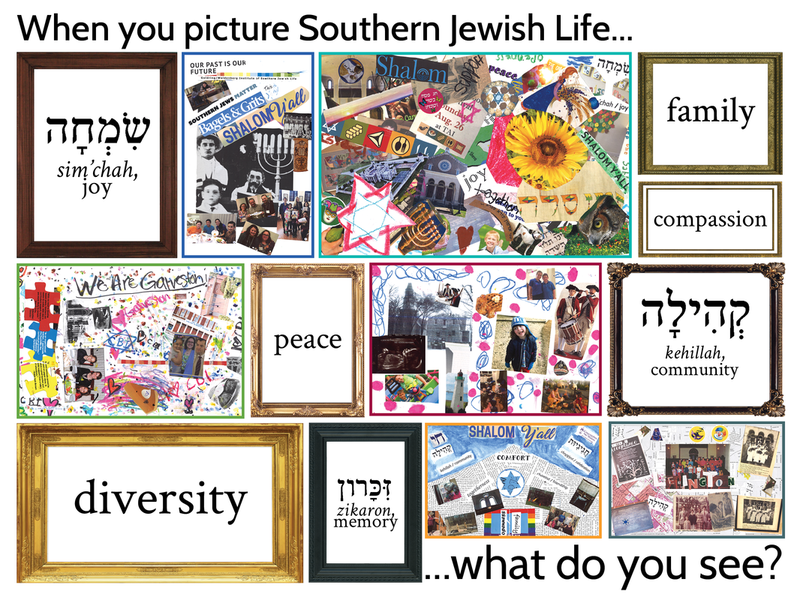 When you picture southern Jewish life, what do you see? We want you to show us! ​Picturing Southern Jewish Life is a project that celebrates the ISJL’s 18th anniversary – our Chai year. We’re working with partners throughout the South to create visual representations of our communities, large and small. Participants gather to talk about their community values; take photographs of the places where they gather, play, and worship; and create collaborative collages that represent their communities. After the program, the collages come to the ISJL in Jackson, Mississippi, for them to be photographed and scanned for use in an online image gallery and “virtual exhibit”—and maybe for other displays and uses as well! ​Want to get involved in the Picturing Southern Jewish Life project? We'd love that! ​Email Nora Katz (or your Education Fellow or Community Engagement Fellow, if you're an education/community engagement partner!) to learn more.